Thanks to social progress, marijuana is finally becoming legal across the United States. For the moment only the states of Washington and Colorado have fully legalized cannabis, but many more have made it legal for medical use. Naturally, when a new market opens there are businesses jumping at the chance to make money. This means that people who were curious about smoking weed but had avoided doing so will be curious about it now that it’s legal. If that describes you, then there are some things you’ll need to know. Where to buy legal marijuana is obvious (you go to a dispensary), as is how much to buy. What you may not be as familiar with are the various ways to smoke pot. There are thousands of pictures of ridiculous marijuana smoking pipes out on the internet. There’s an old joke about how a pothead can take anything and turn it into a pipe, and there’s some truth to that. One of the cheapest and most common styles involves modifying a soda can since soda cans are cheap and plentiful. Don’t do that. While it does work, it’s inefficient and potentially damaging. The cannabis doesn’t get packed correctly, so it doesn’t burn well enough to produce enough smoke. In addition, burning the paint can release toxins. This could damage your lungs in the long run. Some people smoke marijuana out of a traditional tobacco pipe. If you choose to do so, it’s no different from smoking tobacco. Standard weed pipes come in three styles. One is a simple metal tube attached to a small metal cup. You can buy a small wire mesh designed to fit inside the cup, pack the weed in, and then light up and smoke. The second kind is referred to as a “one-hitter”. It’s little more than a tube made of glass or metal. There’s a small stopper near one end of the tube. In order to smoke, you pack the weed into one end, light up, and inhale from the other. It’s referred to as a one-hitter because they tend to have enough space for one or two hits of weed before it’s all burnt. The last kind is referred to as a bowl. It’s similar to a normal pipe and is generally made of glass. Rather than a wire mesh, a bowl is made to be curved. This keeps the burnt ash from getting sucked in through the pipe. Many also have a carb or carburetor. They work just like the automotive part in concept. You cover the carb when you first light up, causing the smoke to accumulate near the bowl. When you release the carb, the large mass of smoke is inhaled. 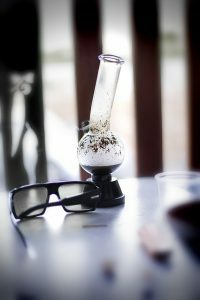 There are also things such as bongs and vaporizers, but if you’re a first-time smoker then it’s better to go simple. Remember to only use cleaned pipes that you purchase from a licensed dispensary, otherwise, you could wind up with more lung damage than you should have. 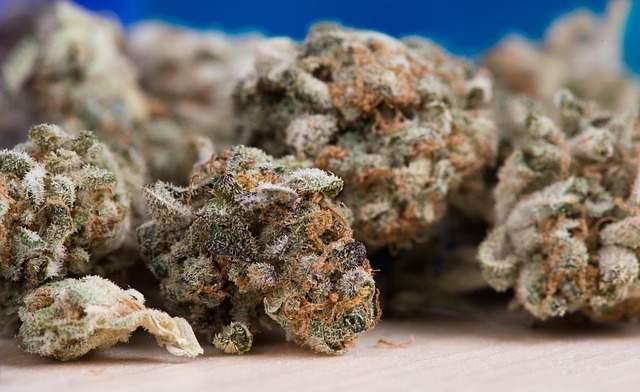 Next PostNext What Are Some Of The Most Popular Types Of Marijuana?